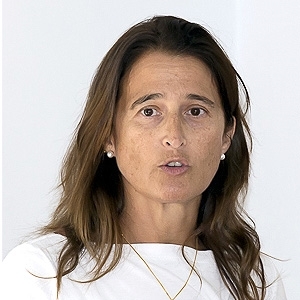 Ana Guerrero is the Deputy Vice-president for Knowledge Transfer in the Spanish National Research Council (CSIC). She obtained her doctorate in Chemistry from the Autonomous University of Madrid. She develops her researches working at the Institute of Construction Science “Eduardo Torroja” (IETcc-CSIC) since 1992. Among its research lines, she has experience in different aspect related with the development of new eco-cement and eco-building materials. She has participated in the drafting and publication of over 109 original papers. She is co-author of different patents. She has participated in 90 national and international conferences and is co-author of 3 patents in the field of new eco-efficient and environmentally cements. She has participated in more than 14 national and international research projects. She has directed several doctoral theses. She is member of various associations, associated units and thematic networks.